Why travel to Rochester and battle the traffic and parking when you can enjoy the same RPO right here in Newark ! The Rochester Philharmonic will present their Holiday concert in Newark again this year. 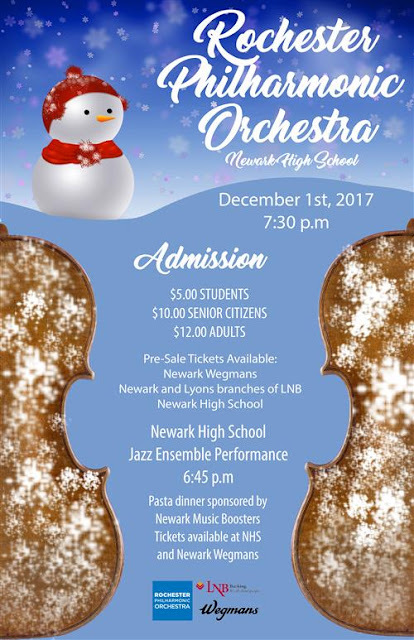 The event is set for this Friday, December 1, at the Newark High School auditorium. Tickets available at Newark High School, or at Wegmans. 0 Comments to "Rochester Philharmonic Comes to Newark"